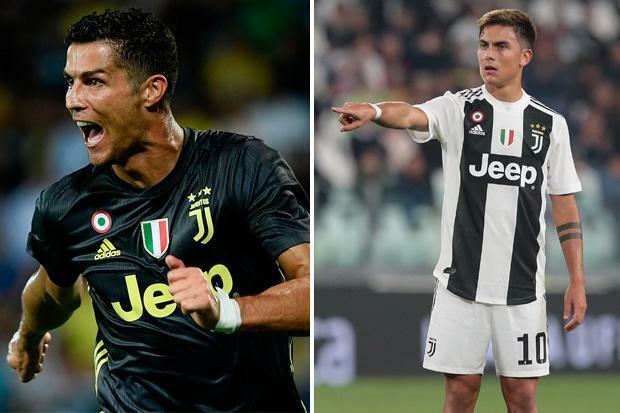 Juventus star Paulo Dybala has admitted he doesn’t get as many shots away since Cristiano Ronaldo arrived this summer. The Argentine forward, 24, did confess he’s been impressed with the former Real Madrid star’s intensity and desire to win. Ahead of this weekend’s game against Napoli, Dybala revealed he doesn’t know what role he’ll be asked to take on – but suggests it could be a less attacking one. Dybala said: “Clearly, with him in the side the others don’t get as many shots as they used to, but the important thing is for the team to win. “The coach hasn’t yet told us who will play and it’s not an easy task for him, because we can all take on so many different roles. “He’ll decide what to do after training. “At times he asks me to go deeper in order to link up with the midfield, but it depends on the game. However, the Argentine did say he’s been “surprised” by Ronaldo’s incredible work ethic since arriving at Juventus.